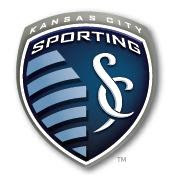 KANSAS CITY, KAN. - Sporting Kansas City defender Matt Besler and midfielder Graham Zusi will join the U.S. Men's National Team for a pair of upcoming FIFA World Cup Qualifiers, U.S. Soccer announced on Thursday. The United States, in first place with four games remaining in the Final Round of qualifying, will play away to Costa Rica onFriday, Sept. 6 before hosting Mexico on Tuesday, Sept. 10 in Columbus, Ohio. U.S. Men's National Team head coach Jurgen Klinsmann will preview the matches and discuss his 23-player roster via a media conference call at 3 p.m. CT today. "Besler and Zusi have helped secure a very good position (for the U.S.) at the moment," Sporting KC Manager Peter Vermes said. "So I don't think it's much of a surprise that they got invited in, but it helps to continue to give them the opportunities based on their play in MLS." Besler, 26, ranks second among U.S. Men's National Team players with 816 minutes played in 2013. The Overland Park, Kan. native has made 10 appearances for the United States since his international debut in January, including the last five FIFA World Cup Qualifiers and starts in all three knockout round games en route to the CONCACAF Gold Cup championship. Besler is a two-time MLS All-Star and earned MLS Best XI, MLS Defender of the Year and MLS Breakout Player of the Year recognition in 2012. "It's an honor again. I'm excited to represent my country," Besler said. "We're about business this trip and trying to get points from both of these games." Zusi, 27, has 14 international appearances for the U.S. Men's National Team and has played in eight of the team's last nine FIFA World Cup Qualifiers. He's contributed one goal and three assists and the U.S. is 9-1-2 in games that Zusi starts. The two-time MLS All-Star leads MLS in successful crosses/corners (60) and chances created from set play (43) in 2013. After being named MLS Breakout Player of the Year in 2011, Zusi was an MLS MVP finalist in 2012 and was a nominee for Best MLS Player at the 2013 ESPYS. "It's always an honor to be called up," Zusi said. "We want to qualify for Brazil as soon as we possibly can. These are two very important games." Both players will be available for Sporting Kansas City's match on Saturday against the Colorado Rapids at Sporting Park and will join the U.S. MNT on Sunday. Amidst a record 12-match winning streak, the United States resumes 2014 FIFA World Cup Qualifying against Costa Rica at 9 p.m. CT on Friday, Sept. 6 live on beIN SPORT and ESPN Deportes Radio. Four days later, the United States takes on regional rivals Mexico at 7 p.m. CT on ESPN, WatchESPN, UniMas and ESPN Deportes Radio. The United States will then play their final home match in FIFA World Cup Qualifying on Oct. 11 at Sporting Park in Kansas City, Kan. Tickets for the USA-Jamaica match go on sale to the general public starting at 10 a.m. CT on Friday through Ticketmaster.com or by phone at 1-800-745-3000. Prior to the match, the National Soccer Hall of Fame and U.S. Soccer will hold Induction 2013, presented by Eurosport. Sporting Kansas City Manager Peter Vermes and fellow U.S. MNT great Joe-Max Moore will be inducted in a ceremony at 2 p.m. CT on the Sprint Plaza of Sporting Park. The event will be free and open to the public with gates for the Hall of Fame induction opening at 1:30 p.m. CT.